Facebook has become a household name these days. It will possibly remain popular so for quite some time to come, given our addiction to the website. To keep users hooked, Facebook has launched a new feature, Facebook Camera Effects platform. The recently or about-to-be-introduced feature enables us and developers alike to create funky frames and interactive AR-powered 3D effects. We can then use the effects for our display pics, video posts or live feeds. The company unveiled its new platform at its annual developer conference, F8. The platform comes with two unique tools – Frame Studio and AR Studio – to add more interactivity and fun to your daily video posts. Frame Studio is available for any user with a Facebook profile or page. It provides users with a set of web-based tools to design frames for Facebook camera or news feed posts. Every frame is also credited with the designer’s name. 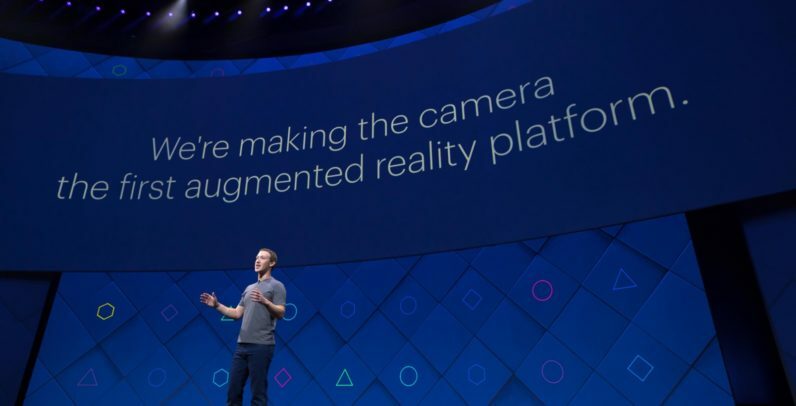 The featured tool of the Facebook Camera Effects Platform is its AR Studio.The AR Studio is currently in its beta mode and available only for Mac developers. The AR Studio lets users design AR content to make their posts lively. The tool can help users design different effects for their posts. For instance, the ‘This or That’ displays a textual effect over the feed, showing two choices. Users can pick any of the choices by commenting with hashtags. Likewise, there are also the Giphy Live and Giphy Thoughts effects that use Gifs on the feed. Facebook states that it will roll out similar features soon. Is Facebook Camera Effects yet another privacy security concern? If you have a smartphone camera connected to the Internet, your privacy is never guaranteed. Smartphone cameras have always been a major concern when it comes to users’ privacy. After all, privacy breach via cameras is a recurring theme these days. Moreover, hackers never cease to develop new methods to break into our smart devices, violating our privacy and gaining access to our personal data in the process. And finding security vulnerabilities in new technologies like Facebook Camera Effects is no hard-nut-to-crack for hackers or spies. Just like Snapchat which has seen its fair share of breaches, Facebook users have also experienced the consequential effects of hacking. In fact, in January 2017, OurMine hacked CNN’s official Facebook account. Regardless, if you don’t take these cyber security issues seriously, hackers or snoopers can vandalize your device in a matter of minutes. For instance, the back and front cameras inSmartphones these days come with HD resolution, allowing you to take crystal-clear detailed images. The right person can use these HD images to identify a user through the eyes’ or glass’s reflection on the image. Hence, anyone with access to the live feed of your camera can easily monitor the keys you press while unlocking your phone. They may even monitor and store the sensitive information you enter like credit card details, etc. Likewise, there have been several reports regarding spywares that can access live feeds from your Smartphone camera without your knowledge. Privacy breaches are happening around the world, but it won’t deter us from using our Smartphones or other technologies that help us with our daily lives. I don’t encourage people to throw their gadgets into a sink hole and confine themselves to a cave or something. As a security advocate, my job is to jolt people into the realization that privacy breaches are real. The ideal way to prevent such breaches is by being cautious and proactive in taking preventive measures.